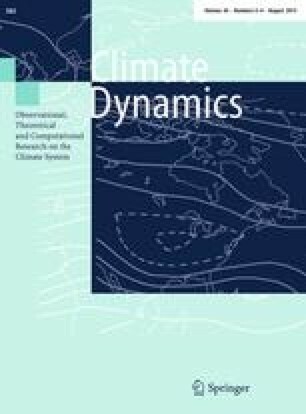 Do regions outside the tropical Pacific influence ENSO through atmospheric teleconnections? This paper aims at identifying oceanic regions outside the tropical Pacific, which may influence the El Niño Southern Oscillation (ENSO) through interannual modulation of equatorial Pacific winds. An Atmospheric General Circulation Model (AGCM) 7-members ensemble experiment forced by climatological sea surface temperature (hereafter, SST) in the tropical Pacific Ocean and observed interannually varying SST elsewhere produces ensemble-mean equatorial zonal wind stress interannual anomalies (ZWSA) over the equatorial Pacific. These ZWSA are largest during boreal winter in the western Pacific, and induce a ~0.5 °C response in the central Pacific during the following spring in a simple ocean model, that weakly but significantly correlates with the following ENSO peak amplitude. When correlated with global SST, the residual western equatorial Pacific ZWSA yield SST patterns that are reminiscent of ENSO teleconnections in the Indian, North and South Pacific, and Atlantic Oceans. We further design 20-members ensemble sensitivity experiments forced by typical SST patterns of the main climate modes for each of these regions, in order to identify regions that influence equatorial Pacific ZWSA most. In our experiments, only the Indian Ocean Basin-wide SST warming in late boreal winter produces a statistically significant ZWSA in the western equatorial Pacific, resulting in a weak but significant ~0.35 °C SST response in the central Pacific (i.e. ~35 % of the observed standard deviation) during the following spring, the season when the Bjerkness coupled feedback is particularly efficient. This paper hence agrees with previous studies, which suggest that ENSO-induced basin-wide SST signals in the Indian Ocean may contribute to the phase transition of ENSO. Our results suggest that studies exploring external influences on ENSO should adopt a global approach rather than focus on a specific region. Designing coupled model simulations would also allow investigating air–sea interactions-mediated teleconnection mechanisms, which we can’t reproduce in our forced AGCM framework. Hugo Dayan is funded by a PhD grant of Ministère de l’Enseignement Supérieur et de la Recherche and by the Institut National des Sciences de l’Univers (INSU) LEFE program. Jérôme Vialard, Takeshi Izumo and Matthieu Lengaigne are funded by Institut de Recherche pour le Développement (IRD). Sébastien Masson is funded by the Conseil National des Astronomes et Physiciens (CNAP). GPCP data are provided by the NOAA/OAR/ESRL PSD.